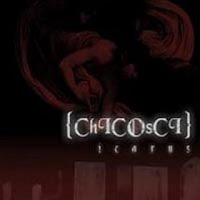 There is a Filipino emo song called Conversations with Fire from Chicosci which perfectly describes the dilemma of being into a consuming love affair. It may or may not be an extra-marital issue but it's definitely about having another affair in addition to what or who you have already. I know a few friends who have succumbed to the temptation of fooling one lover because of another. One of them would say, if the guy can do it, so can the girl. It's like a boomerang, when one party will know of the others extra affairs, then he or she bangs another. I could say a million reasons more: busy lives, therefore less time spent with each other (so how is there time for the "Que rida" or so? ); mistreatment (like abuse in any form); search for excitement (which gets lost when you have the same company for a long time); and, the rarely used excuse of falling for the third party intentionally (although this may end up with an overused line which goes like, "it's not you, it's me). Whatever reasons one come up with, it still boils down to the ultimate end that loyalty to just one party is still noble in spite of our ever changing world where everything that once was unacceptable becomes acceptable. Nonetheless, if ever a lover gets astray, I'd like to say both sides can be blamed. One cannot simply go away without being pushed intentionally or not by the other. There is free will as well to decide whether or not one will be seduced by the temptation of getting involved with someone else. Be it called betrayal when you have one replaced by another but not all ends sour anyway. There are a few exceptions wherewith the seemingly villainous lover will still enjoy bliss with whomever he chooses between his or her two beloved. It will still be their choice to make at the end. I don't really intend to make this a long narrative, what I was rooting for to begin was just the thought of having more than one lover, be it serious or not. One can have a special friend or so and still flirt online or thru the phone with someone else (probably not seriously anyway) but its those who do actually gets to be involved personally with more than one that I am pretty interested with. True, it's against all the laws there is but the ability to cunningly manage time, resources, and hide one from the other is admirable. Be it sounding evil but that's all that I wanted to write about here really. "Don't play with fire you'll get burned," I say to conclude.